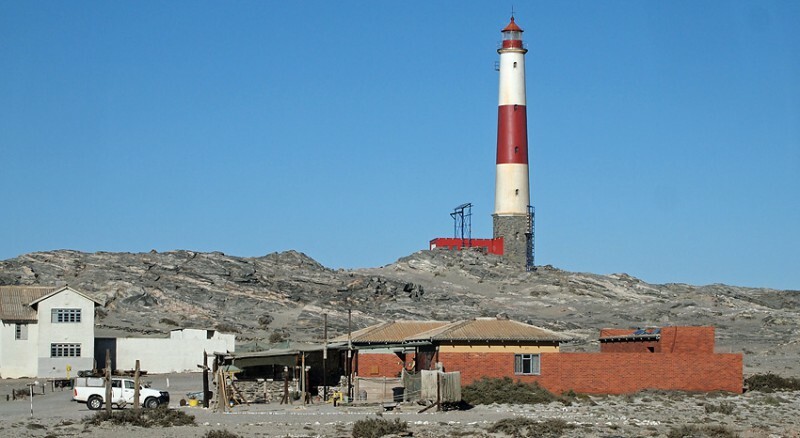 In 1488 Portuguese explorer Bartolomeu Diaz landed just south of what is now known as Lüderitz. 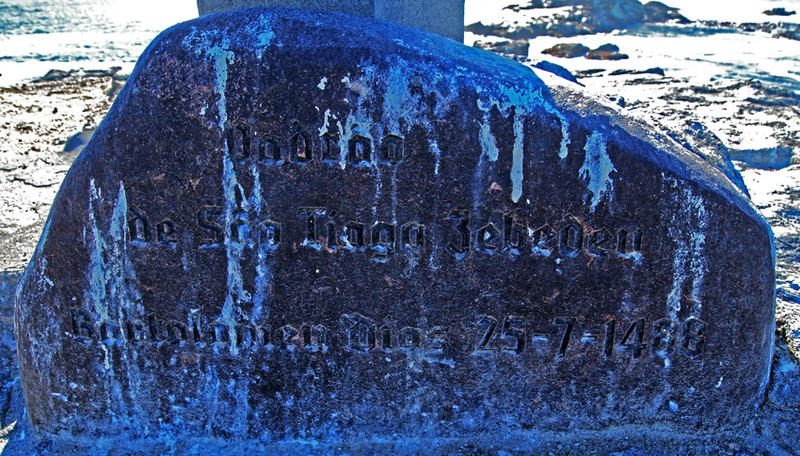 He found nothing of value but erected a stone cross that is still there. 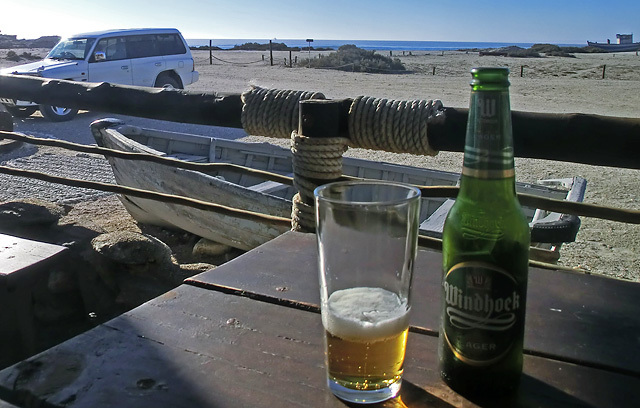 To see Diaz point you just leave Lüderitz eastbound and turn right at the outside of town. A gravel road meanders through a strange moon-like landscape. Once you are there you have to cross a long wooden bridge. On the other side is a big rock and you can already see the Diaz cross on top of it. 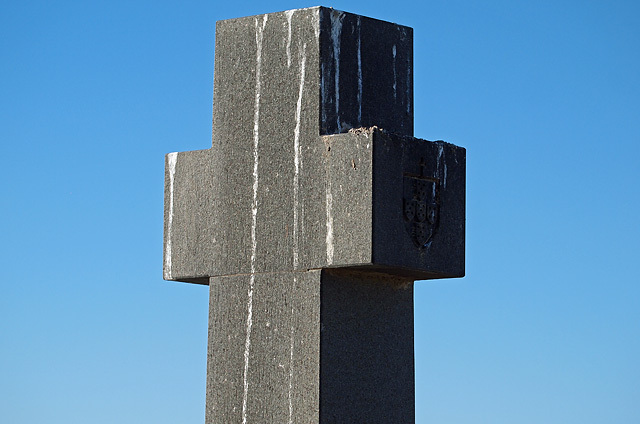 The cross is placed on solid rock. The area around Lüderitz is in fact the only rocky part of that long Namibian coast line. 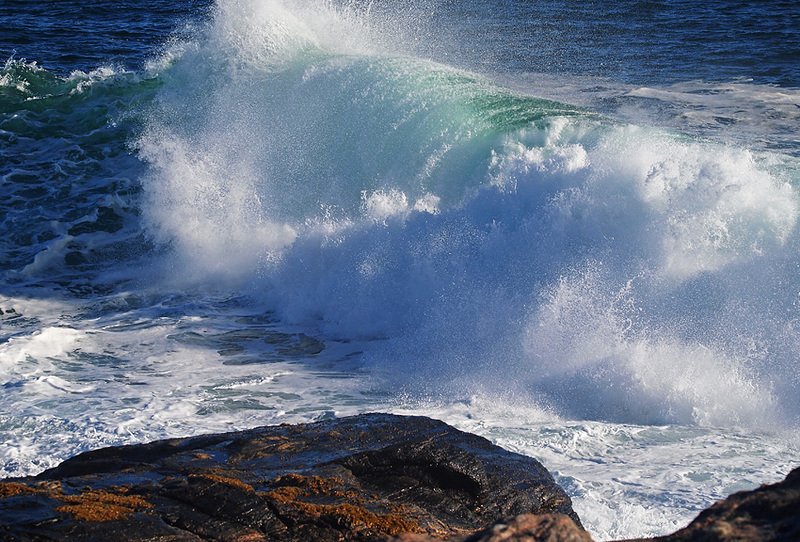 It was 1488 when the Portuguese explorer Bartolomeu Dias landed here and erected his cross. 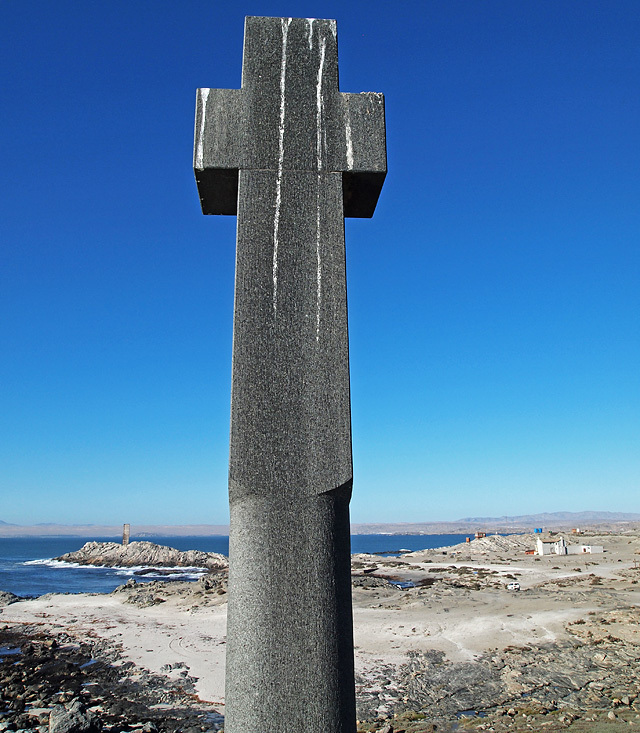 I think the cross standing here is a replica cross erected to the 500 years celebration of Diaz travels in 1988. 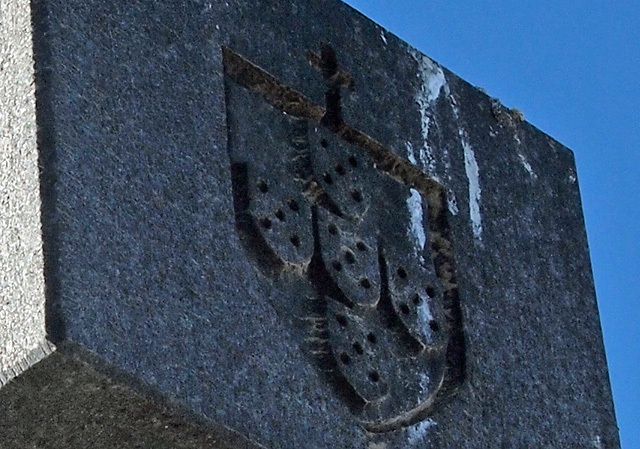 The Royal arms of Portugal. A place to get that cool beer you deserve after a brave climb to Diaz point.